It takes courage as well as confidence to sell a single malt to the Scots. To invite whisky drinkers to try your product among the strongest of your competition calls for even more confidence and character. 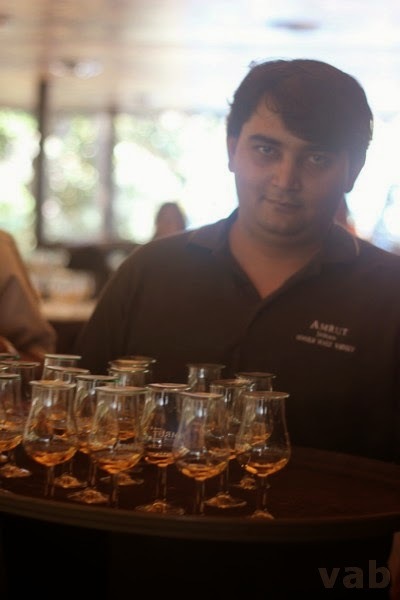 That's exactly what Amrut whisky experience was all about for me - the confidence in the team and the character of Amrut itself! 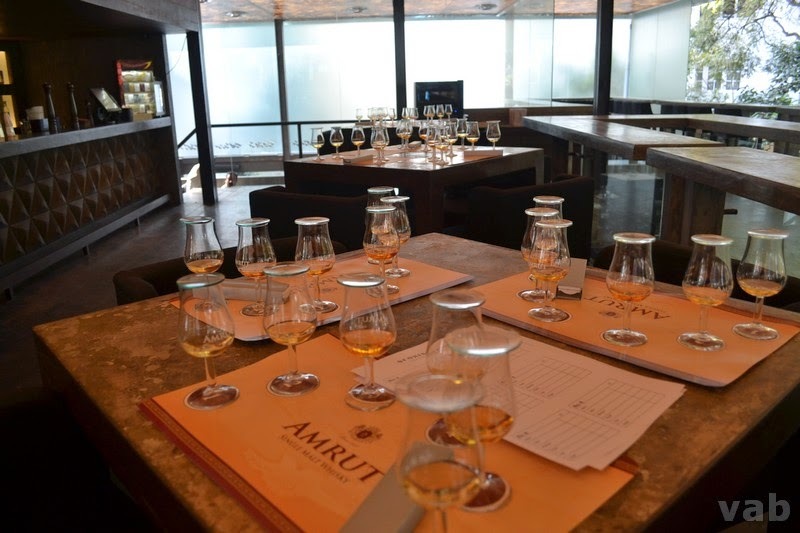 Team Amrut invited us to try out some of their best whiskies. But to our surprise, it was not just to try THEIR brand, but to blind taste it among some of the other brands they would have counted as competition! That's confidence in your product for sure, but that's not all. The 6 whiskies which were part of the blind test, also had some of the best known ones all over the world! 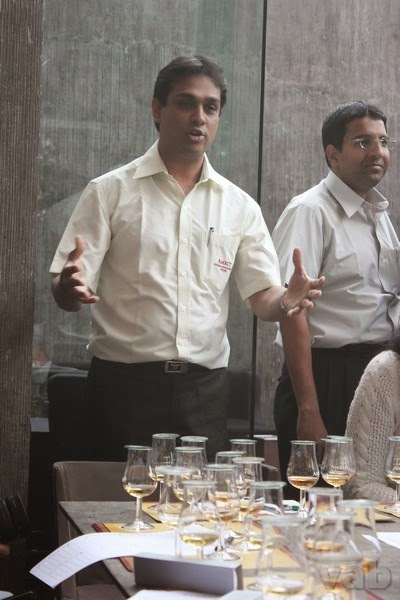 One whisky at a time, Team Amrut busted a lot of myths we associated with regional preferences in terms of whisky's origins. A popular belief we associated with water used in the whisky making process was also countered with facts. It was shared that the heating and distillation process for whiskies world over eliminates any chances of minerals / other elements in water impacting the taste itself. Breaking the blocks of regional biases and origins of the whiskies, we experienced all the 6 whiskies purely on the basis of their characteristics. 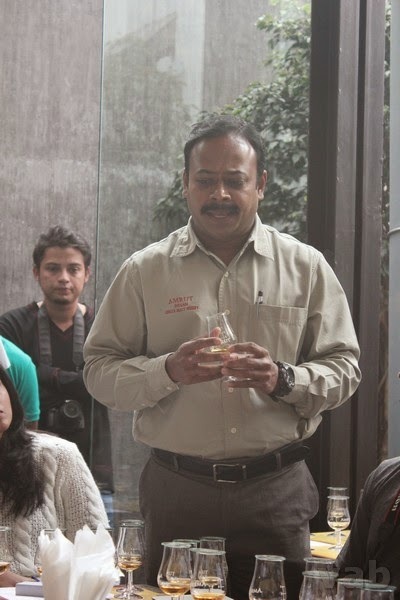 The 6 whiskies we tasted were Glenmorangie, Amrut Single Malt, Black Label, Jim Beam, Amrut Fusion, Amrut Peated. 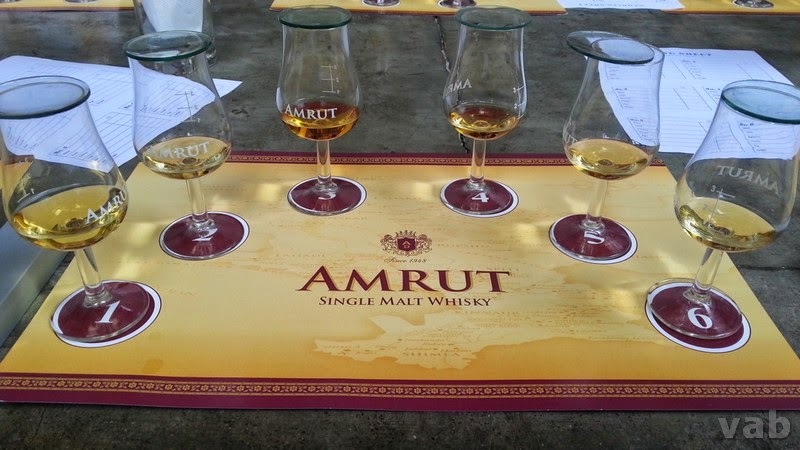 While the choice of favorites were different for different people based on subtle details of characteristics and individual preferences, the result of the blind tasting proved one thing very clearly - beyond the biases of brands, Amrut differentiated itself for its unique characteristics and was in no way any lesser than some of the foreign and more known brands. The quality of the whisky was right there with the best. I do like to be experimental in taste so the my pick among the different Amrut whiskies was Amrut Peated Indian Single Malt Whisky. On the nose it was unusually dry and peaty with a hint of citrus. The taste on the other had gave immediate caressing and sugary sensation. However the peatiness slowly took over becoming more forceful and the experience became drier and spicier with persisting sugary hints. The depth of finish was an evidence in itself of the quality of the distillate and the barrels it has been matured in. Amrut Peated challenged everything I tried till date with the strong statement it made with its peatiness. 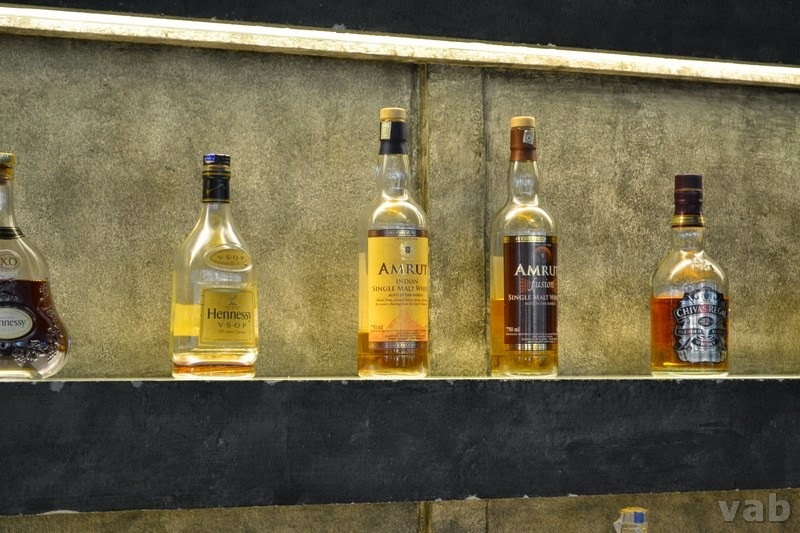 I associate this experience with the character Amrut whiskies represent - an Indian Single Malt which challenging the popular belief and a rather misconstrued bias towards origins of Single Malts all over the world. Blinding yourself sometimes makes you to see things more clearly I guess!